What is Joovv Red Light Therapy? Joovv Red Light delivers clinical grade (over 1 Joule per minute) of visible red light, which is energy at 660 nanometers. Red light therapy devices help improve fine lines, rosacea, skin clarity, tone, and texture. Red light therapy differs from near infra-red therapy in that it primarily targets the skin. As a quick guideline: use Red Light Therapy if you are targeting wrinkles and skin issues, near infra-red for deeper tissue and muscle issues, and a combination product if you want both therapies. I use the combination of Red Light Therapy and Near Infra-Red Therapy to treat my fine lines, and to decrease inflammation and joint pain. 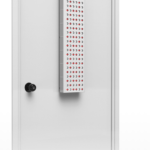 There are many grades of red light therapy devices and you want to make sure you’re getting one that delivers the right amount of power, the right wavelength of light and the full amount of body coverage to get the job done. Many of the standard Red Light therapy devices on the market today are too small or underpowered. And it’s modular–you can add on as needed. Why Use Joovv Red Light Therapy for Wrinkles & Skin Problems? Chronic stress affects not only the way you feel, but also the way you look. Call them worry lines or wrinkles, stress starts a cascade of chemical reactions in your body that makes skin more susceptible to break outs. Whether its stress, anxiety, or harmful blue light emitted from electronics your skin takes a beating. Red light therapy serves as an effective treatment for a wide range of skin conditions and is backed by a substantial clinical evidence. In addition to natural aging, which is accentuated by outside factors, other skin-related problems can ensue – things like infections, cancer, scars, and other various conditions from acne to psoriasis. Similar to the way your body absorbs vitamins and nutrients differently, each color spectrum has a distinct impact on your body. Joovv uses clinically validated wavelengths (from approximately 600 to 950 nanometers which actually penetrate your skin and body tissues. Amazing results happen in this “therapeutic,” window. From the targeted Mini to the Elite, decide what amount of body coverage you need and select the best fit. Quality Red Light therapy is an investment! Use the tables below to see which one is best for you. I selected the Joovv Solo for my own desired coverage area. Feel free to contact me if you would like advice on which one is right for you. I Get That You’re Busy! Our busy lives lead to stress and it makes us look older. 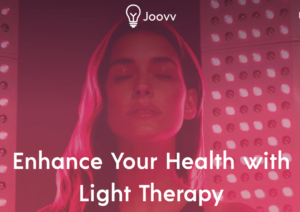 Maximize your time, choose a full body Joovv Light Therapy device and combine some of the tools and techniques that relieve stress naturally? I love to use my Joovv Light Therapy as I practice meditation. With the full body coverage, I do 5-10 minutes on each side (front and back). Just remember to tune in and keep a straight spine. 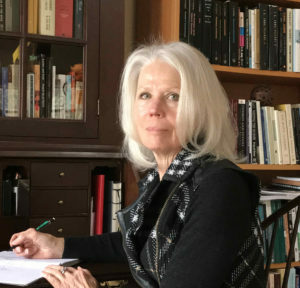 When the product meets the four criteria listed above (Joovv does) and when used as directed, the results from clinical studies validate that it does. “The benefits of photobiomodulation have been proven in hundreds of clinical studies. With full-body therapy from Joovv, you can experience systemic benefits in the comfort of your own home. 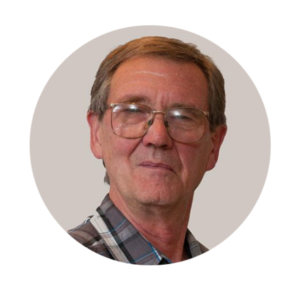 I use one myself and it comes highly recommended.” Michael Hamblin, Ph.D. Associate Professor, Harvard Medical School. As the founder of HowToRelieveStressNaturally.com I would love to hear about your experience with the Joovv Light Therapy devices. Affiliate Disclosure: Any of the links on HowToRelieveStressNaturally.com may be affiliate links of which Anne Taylor Enterprises, Inc. receives a small commission from sales of certain items, however the price is the same for you.